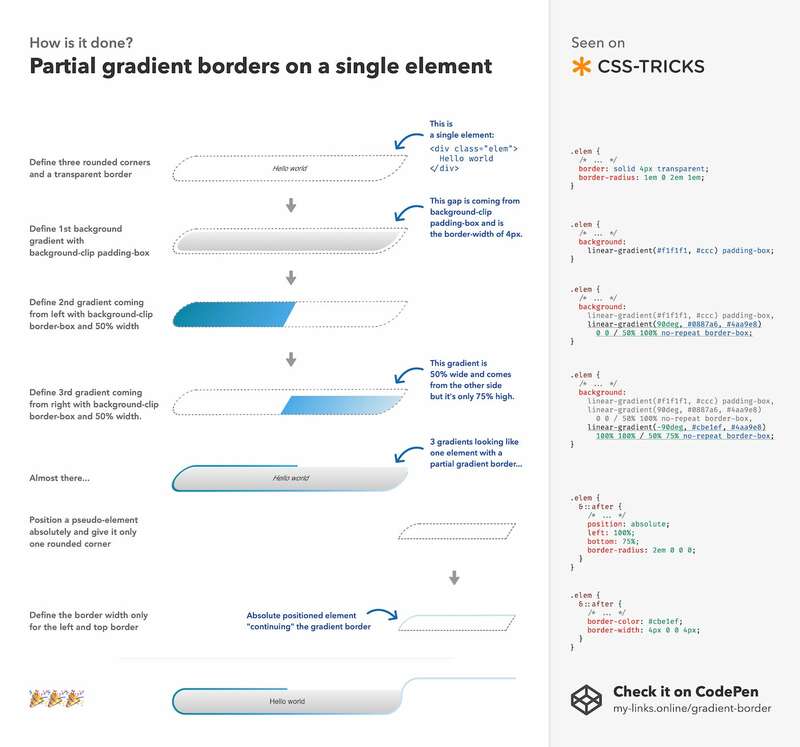 It took me a while to figure out how CSS Tricks do these fancy looking gradient borders in their new redesign. And because I want to sharpen my design skills I made a sketch explaining how it works. Partially related: background clip is configurable for every background gradient separately. You can play around with it on CodePen.